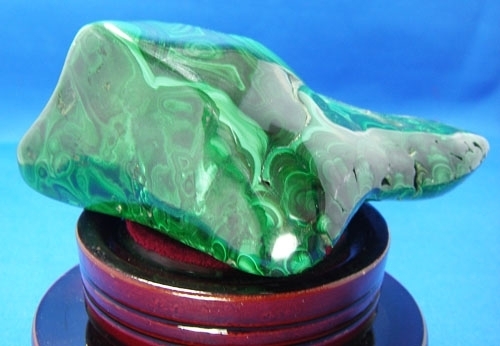 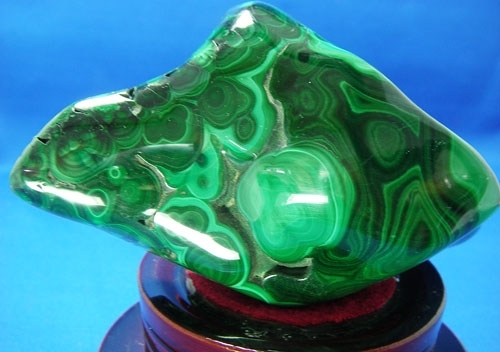 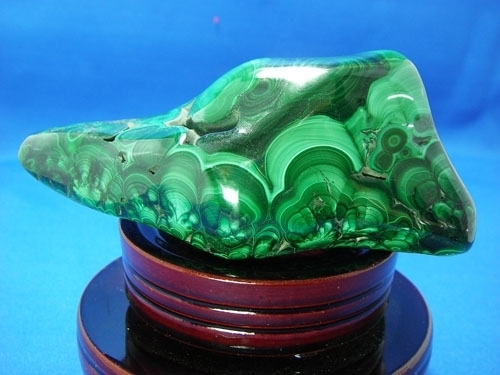 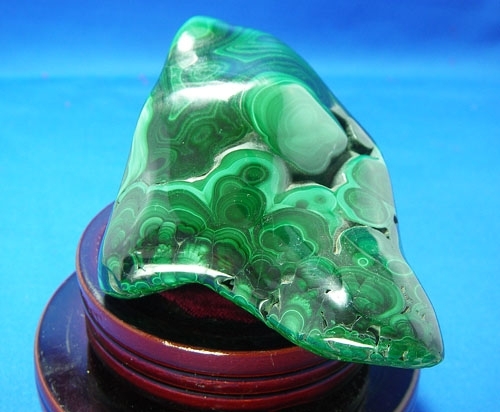 BEAUTIFUL SWIRLED GREEN CONGO MALACHITE. 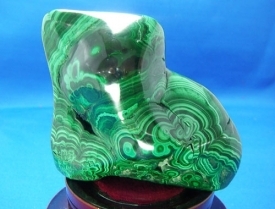 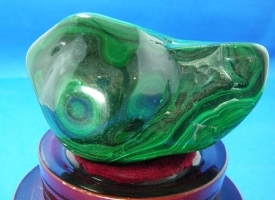 LAYERS AND LAYERS OF RICH GREEN MALACHITE WITH "EYES" ALL OVER THE SPECIMEN.THIS NOT ONLY HAS METAPHYSICAL PROPERTIES, BUT IS JUST A BEAUTIFUL DISPLAY ITEM. 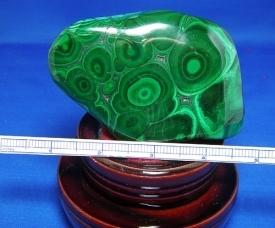 PRICED RIGHT FOR YOU TO HAVE. 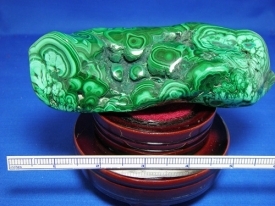 THE MINERAL IS CARBONATE OF COPPER AND IS 5 INCHES WIDE X 3 INCHES DEEP X 1 3/4 INCHES HIGH. 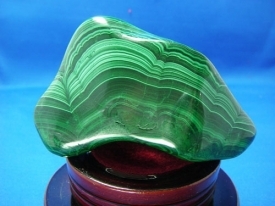 THE WEIGHT IS 1.20 POUNDS.